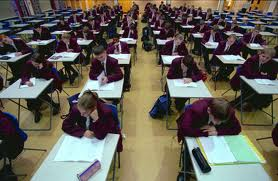 It is that time of year again, fast approaching the examination season, where GCSEs, A levels, and any number of other qualifications are being assessed, measured with judgements pending. My daughter has begun today her revision plan for forthcoming GCSEs, and so my thoughts turn to these momentous occasions. How best do young people prepare for these significant milestones, yet still retain a sense of balance, of enjoyment in life, whilst holding onto high aspirations for future success?